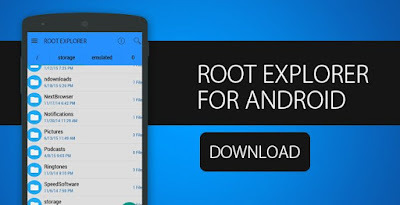 Root Explorer is a pro file manager for root android users. 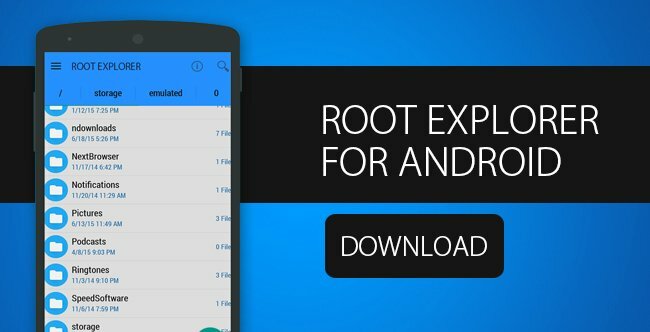 Root Explorer can Access the whole of android's file system (including the elusive data folder!) It include features like multiple tabs, Google Drive, Box, Dropbox and network (SMB) support, SQLite database viewer, Text Editor, create and extract zip or tar/gzip files, extract rar archives, multi-select, execute scripts, search, remount, permissions, bookmarks, send files (via email, bluetooth etc), image thumbnails, APK binary XML viewer, change file owner/group, create symbolic link, "Open With" facility, MD5, create shortcuts. 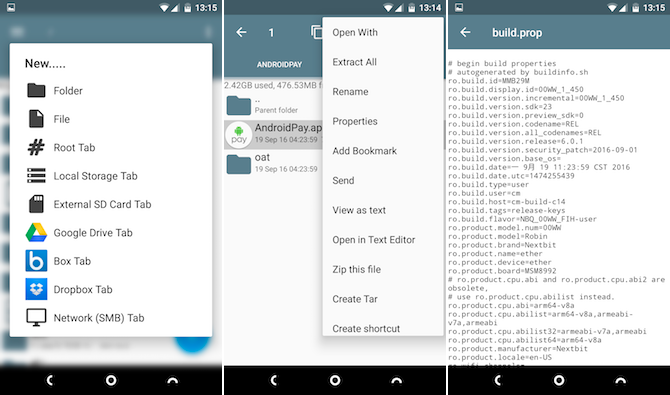 Solid Explorer Pro is the only fully featured file manager with Material Design you can find in the Play Store.